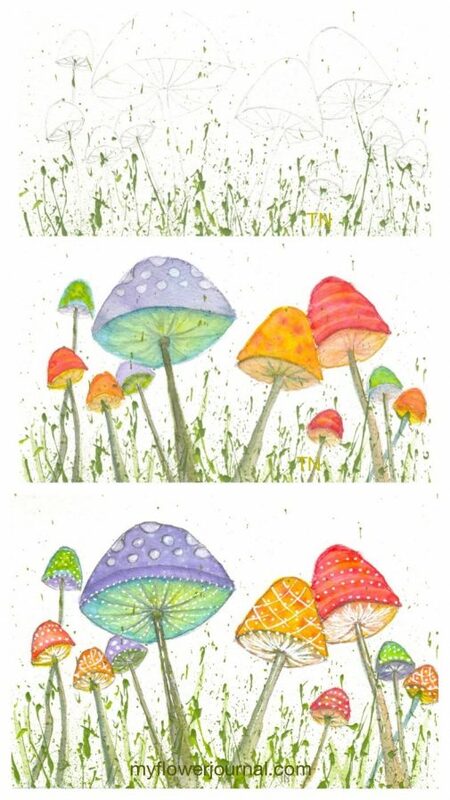 Painting colorful, whimsical, watercolor mushrooms is a great way to let your imagination go wild! 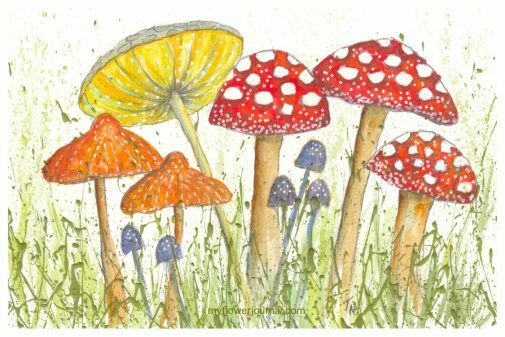 I recently took an online watercolor class by Danielle Donaldson that introduced me to the idea of painting watercolor mushrooms. This was a new way for me to add some color and whimsy to acrylic paint that I splattered on a watercolor postcard. First I splattered green acrylic paint on a 4×6 watercolor postcard. Then I lightly drew a variety of mushrooms in pencil. 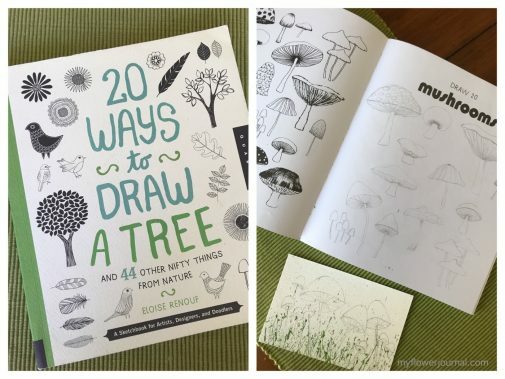 I love this drawing book by Eloise Renouf and used it as a reference to help me draw my mushrooms. Next I started to add color to my mushrooms. I learned a lot in the class I took by Danielle Donaldson! 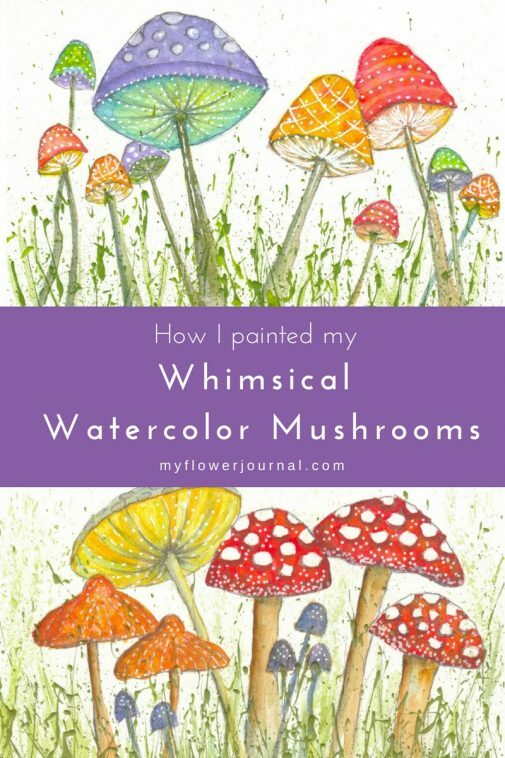 She shared so many colorful ways to paint mushrooms. I love both of her books. 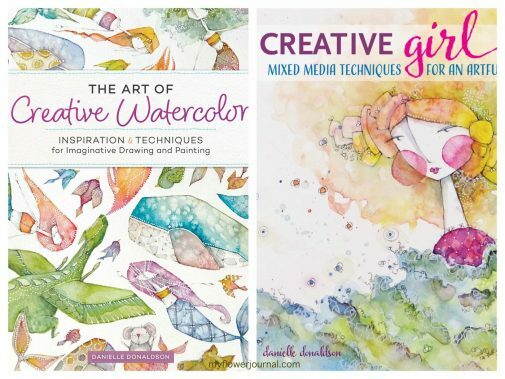 In “The Art of Creative Watercolor” she shares one of her watercolor mushroom paintings. This gave me some ideas of how to paint mine and add the finishing details. The last step is my favorite! Adding details to the mushrooms with a white gel pen and a mechanical pencil really gives them personality. 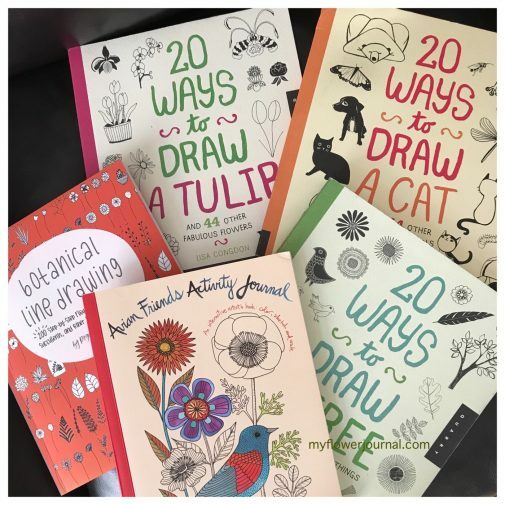 This post contains affiliate links for products I use to create my art. I love this ! Thank you for the inspiration ! !